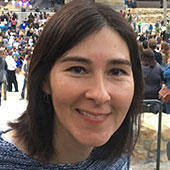 User Research Manager at Sonos, Inc.
At Sonos, Paula is helping to manage the User Research team. Her research focus is on integrating voice technology into the software and hardware experience of smart speakers. Before joining Sonos, she spent time in Silicon Valley, conducting research for IBM, Intel, Microsoft, and Barnes & Noble. Paula is passionate about helping product teams design experiences based on users’ motivations, needs, and behaviors. She graduated from the Engineering Psychology program at New Mexico State University, receiving her MA in Psychology. Connect with Paula on LinkedIn.